Your life leading up to retirement has most likely been filled with constant demands and obligations that forced you to put many forms of personal enjoyment on hold. Children’s schedules can be relentless. Work obligations can pull you in every direction sometimes, except for the direction you actually want to be going. But, now that you’re entering a new phase of life – retirement – you’ve got all the time in the world to do whatever you’d like. Plus, you may even have the available income you need to take some grand adventures. So, the tricky part comes in trying to decide exactly how you’ll spend your golden years. There are so many exciting, challenging, and memorable activities you can delve into once you hit your senior years. By staying busy, doing the things you love to do, you can find new life and vitality, even as your hair gets a little greyer. Check out these suggestions to help you live life to the fullest throughout retirement. Travel– Years ago, your travelling may have consisted of amusement parks, camping, sports events, and any other “family-friendly” trips your kids can convince you of. Now is your time to go to those places you’ve never been before, but always wanted to see. Travel across Europe. Take a tour across the country to see some famous historical landmarks. It doesn’t matter where you go, as long as you look for new ways to expand your world past your back door. Make a Bucket-List, and Start Checking things off- In case you are unfamiliar with the term, a Bucket-list is nothing but a checklist of all the crazy, interesting, challenging, (you-fill-in-the-blank) things you’ve always wanted to do before you die. Maybe your list has 10 different, otherwise impossible, activities you’d like to conquer, like participating in a marathon or skydiving. Maybe your list includes reuniting with a long lost friend. The sky is the limit when it comes to the items on your list. Just be sure to challenge yourself to do those things that you might not normally do otherwise. Learn a new activity- Learning a new activity is a great way to thrive emotionally, physically, mentally, and socially, as you get older. You might take dance lessons, or learn to play a musical instrument. Maybe, you decide to join a gym and commit to a weekly exercise regime. Or, you might even decide to volunteer with youth at a local community centre or school. The point is, never stop learning and trying out new things throughout your retirement. Join a cause- Retirement offers the perfect opportunity to start pursuing the passions and interests that move you. Do you have a desire to see your community parks improved? Get involved and start a fundraiser to benefit the needed improvements. Volunteer for a political cause. No matter what you choose, a cause will help give you a sense of purpose and motivation to make a difference in the world around you. Enjoy the simple things in life- As cliché as this sounds, taking time to slow down and enjoy the simpler things in life can be revitalizing. Look for new perspectives on everyday things. Plan a brunch with a good friend. Take a new route for your daily walks. Intentionally look for new opportunities to connect with your spouse or partner. Treasure each day for the simple, yet priceless gifts that you are given. As you enter your senior years of life, you really are blessed with time; time to do what you want; time to go where you want; time to live how you want. 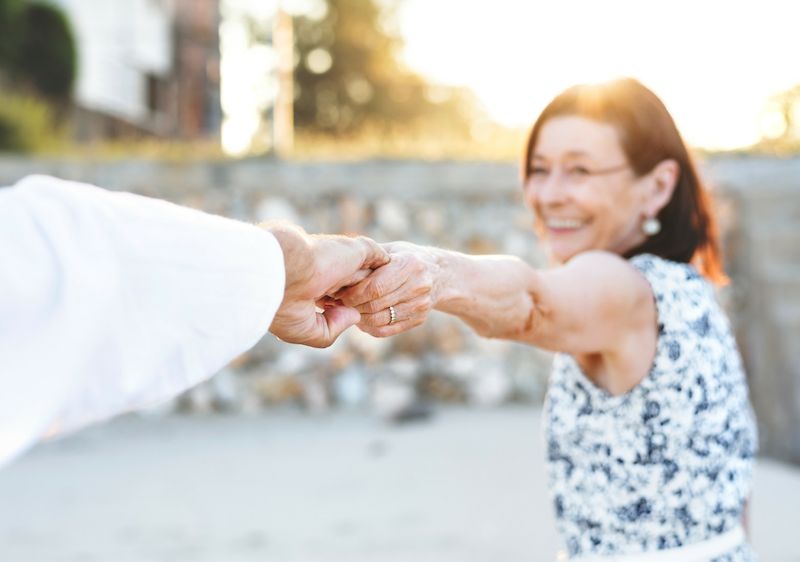 By staying active physically, socially, and mentally, you can help improve your overall health and creating lasting memories to highlight your retirement. Jump right into your new life during your retirement. Your next adventure awaits.